It first showed up in Casino Royale, ridden by the equally stylish James Bond. The DBS comes as a perfect replacement for the rather cumbersome Vanquish with so many features that make it stand out as the car to own… and, of course, to drive! It still has the 48-valve 6.0-litre V12 engine from the Vanquish. Of course, it is an advanced affair that has been greatly worked on to give the DBS that superiority and efficiency. For instance, it will effortlessly inhale more air at higher revs thanks to the smarter bypass system that automatically responds to that. The compression ratio has been improved upwards. The DBS prides itself for maximum power of 510bhp and torque of 420Ib ft. The Vanquish’s was 520bhp and 425Ib ft.
You need not be surprised if or when you cannot find the DBS. It is a hot cake for its speed. With the max speed pegged at 191mph, the DBS can jump to 100mph in 9.4 seconds, or 4 seconds to 60mph, on a 6-speed manual transmission. Aston Martin decided on trying carbon fibre body panels on the DBS. To address the easy fading of steel discs, the DBS comes with ceramic brakes, which is a great plus for a fast car like this one. It is an agile yet stable ride, the Aston Martin DBS. It is fast and retains an effective braking system. Beating its ancestors, the DBS remains comfortable even when you running on a rough road. It is understandable that the DBS was based on the DB9 design, which explains some inconsequential compromises on the model. The DBS, in a way, takes you on a robust design trip from the GT-focused DB9 to racy DBRS9. No wonder its manufacturer defines it as “the culmination of the DB bloodline.” This also explains designer Marek Reichman’s intent of simply modifying certain features of the DB9 on this model, such as the 20mm lowering on the design. Then add 20-inch wheels, an Aston Martin trendsetter for that! The widened track on both the front and rear wheels gives the DBS that aggressive look. For this sort of exquisite model, you definitely will find almost everything you expect a machine of its kind to have. The DBS is fitted with a trip computer and satellite navigation system. The interior is such a marvel. You have ten-way electrically adjusted sports seats with an electric memory heating system. Other sleek accessories include power-folding mirrors and parking sensors. It is also fully equipped with a very sophisticated car alarm and a Tracking device for the worst of any eventualities. Its exterior is equally imposing, starting with the awesome 20-inch alloys and the special DBS-custom Pirelli Corsa tyres pumped at 245/35 for the front and 295/30 for the rear set. Unfortunately, Aston Martin never included the F1 paddle-style option in this model due to the bad experience that greeted the semi-automatic transmission on the old Vanquish. If you are going to buy this car with the notion that you will ride cheaply, then you are greatly mistaken. On average, you will drive around at a consumption of about 20mpg. This is where you get the drawback on the DBS because the tank will only swallow not more than 78 litres (17 gallons). They could have compensated it with a larger tank for its speed, like the Ferrari 599 GTB’s which fills up to 105 litres. For insurance, the DBS is categorised in the Group 20 section. Such and other costs are, fortunately, compensated in its depreciation gauge. This explains why its residual values can even be higher than those of, say, a Ferrari. Like any other super car, the DBS will knock your pockets out to service it, so you have to be prepared to spend something to run this sort of car. At £50,000, or even slightly above that, the Aston Martin DBS is worth every penny for its remarkable and unique disposition that was so carefully crafted off its precursor, the DB9. The DBS, like most Astons, is one model that is here to stay and will etch its indelible marks on the tracks of motoring history. It’s an efficient machine, sleek and exquisite, with a good and steady stature. 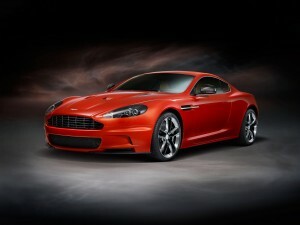 What do you think of our Aston Martin DBS Review? Leave your comments. We love to read them.